It was the fall of 1979. Steven Sametz, then 25 years old, had just been appointed director of Lehigh’s choirs when he was approached by a concerned senior administrator. Today, Sametz is completing his 40th year at Lehigh. He is the Ronald J. Ulrich Professor of Music and artistic director of Lehigh University Choral Arts, and he is respected worldwide for his choral conducting and composing. Lehigh’s student ensembles—the mixed Lehigh University Choir, the all-male Glee Club and all-female Dolce, and members of the Lehigh Choral Union—have performed in the world’s finest concert halls and cathedrals. They are renowned for their ability to sing in any language or musical genre, for reviving forgotten masterpieces and for premiering many of Sametz’s own compositions. This year marks the 150th anniversary of organized singing at Lehigh, and Lehigh Choral Arts is celebrating with a series of events, starting with an appearance in January at New York City’s Alice Tully Hall and culminating with the annual Christmas Vespers service in Packer Memorial Church. Lehigh’s student musicians, in compiling the history, discovered what Sametz’s older colleague missed years ago—that the choirs’ modern successes have deep roots in very fertile artistic soil. The earliest record of organized singing at Lehigh, says Stephanie Rosenthal ’20, dates from 1868-69, three years after the university’s founding, when seven or eight students sang at daily chapel services in the Chemical Lecture Room. Rosenthal, a biology major, sings first soprano in the University Choir and is choir historian. She has been poring through university archives to assemble an interactive historical timeline of choral singing at Lehigh. One of those archives, “A History of Music at Lehigh University,” was written in 1940 by T. Edgar Shields, who was then chairman of the music department. The chapel singing group numbered 14 by 1875, Shields wrote, and in 1884, the first Lehigh Glee Club appeared. A glee is a type of short English song, usually sung in parts without instrumental accompaniment by small, male choruses. Glee Clubs became common at American colleges in the 1800s. “There is no record of [the first Lehigh Glee Club’s] work,” Shields wrote. “No concerts were given, and their only public appearance was at the Cremation of Calculus.” The Glee Club grew in popularity, singing at chapel services and joining with the Lehigh Mandolin Club in the 1890s to perform in Bethlehem and nearby towns. In 1902, the two student groups met President Theodore Roosevelt before a concert in Washington, D.C.
Lehigh has had only five directors of choral activities in its history; several doubled as university organist, director of the Marching 97 or music department chair. J. Frederick Wolle, founder of the Bethlehem Bach Choir, served from 1890 to 1905 and Shields from 1905-47. William H. Schempf (1947-54) later became band conductor at the U.S. Military Academy at West Point; he was succeeded by Robert B. Cutler, who served until 1979. Lehigh’s former status as a men’s school obliged the Glee Club to find partners off campus to perform works for mixed chorus. The first joint concert was held in 1869 with singers from the Moravian College for Women. Joint endeavors with choirs from women’s colleges increased in the 1930s and ’40s. During Wolle’s tenure, the Club also recruited boy sopranos and altos from Bethlehem. In 1940, the singers performed at their first Christmas Vespers service, an annual tradition that continues to this day. The Glee Club on tour on the East Coast, circa late 1950s or early 1960s. Under Cutler’s leadership, the Glee Club set its sights higher. Concerts with women’s college choirs were held twice each semester, with women from two colleges visiting Lehigh each fall and the Glee Club returning the favor in the spring. The Club toured along the East Coast, in Puerto Rico, and in England, Ireland and Wales, where they delighted audiences by singing traditional music in Welsh. Cutler, say his former students who called him “Boss,” had a gift for instilling confidence in his singers. His dedication to students was unmatched, and he demanded from them not only musical excellence but also professional decorum, from their posture as they marched onstage to their post-concert behavior at women’s colleges. Auditions for the Glee Club were held the day freshmen arrived on campus, says Barry Hamlette ’79. Those who passed boarded a bus the next morning for the annual Glee Club camp held during Freshman Orientation. Students who regretted missing the fun of Orientation weekend were advised to set their priorities straight, says Hamlette. By the early 1970s, the Lehigh Glee Club had grown to 45 members. But the winds of social change forced a reckoning. Lehigh had become coeducational in 1971. A women’s choir, the Lehigh University Chamber Singers, had formed under Prof. Jerry Bidlack and was performing at Lehigh and with glee clubs at other schools. By the end of the decade, Cutler, now approaching retirement, believed a transition was necessary. An all-male chorus, no matter how talented, how revered, could no longer be the centerpiece of Lehigh’s choral arts program. “The Lehigh University Glee Club was a top-notch group,” says Robert Bausmith ’81, who sang in the Glee Club and in Lehigh’s first mixed choir. “But we decided after a number of discussions with the administration that it was best to shut down the Glee Club rather than keep it going along with the new mixed choir. 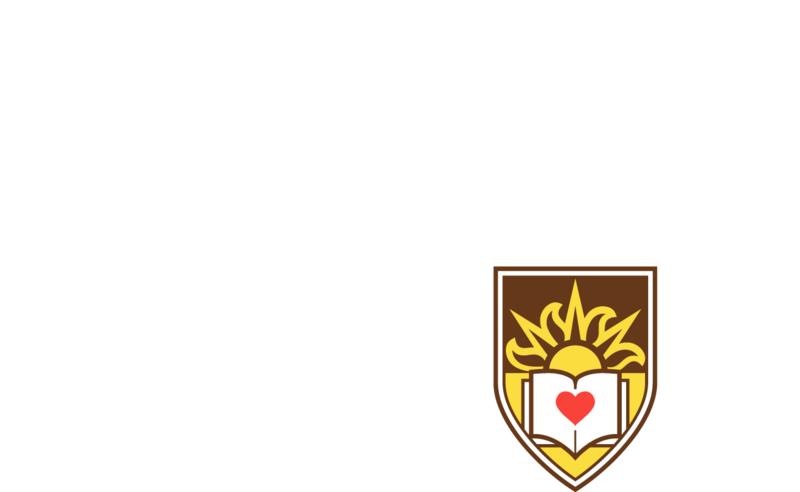 This year marks the 150th anniversary of organized singing at Lehigh. A year later, Sametz was hired to succeed Cutler. Still finishing his doctorate, he promised an adventurous future for the Choral Arts program. Under Sametz, the University Choir remains an auditioned ensemble. Rehearsals are held twice a week and weekend boot camps before each semester. Students sing four concerts a year and tour every other year. Sametz’s singers seldom know what their director will spring on them next. They have performed with Chanticleer, the nation’s premier male chorus, and with Joyful Noise, a special-needs choir in New Jersey. They have given stage performances of Bach’s St. Matthew’s Passion and Debussy’s The Martyrdom of Saint Sebastian. A 2004 extravaganza, titled Visions, Evocations and Dreams, included a circus parade, Indian dancers, jazz, triple-choir Baroque music, spirituals, Tibetan chant and a 30-foot puppet of the Hindu god Vishnu. The Choir’s visit to Italy in 2015 was especially memorable, says Kathie Schmoll, owner of Firebird Fine Arts Tours in Dresden, Germany, and who has organized the Choir’s tours and attended its European concerts since 2001. The Choir sang Monteverdi’s Cantate Domino in the Basilica di Santa Maria Gloriosa dei Frari in Venice, where the late Renaissance composer is buried. We have been given a lot of latitude, a lot of room for play and creativity, by the administration. This is the type of thing Lehigh excels at, letting people do what they do best. Sametz’s first major exercise in community building at Lehigh was a gamble. In 1985, he formed the Lehigh Choral Union, a non-audition group of faculty, staff, community members and, later, students not singing in the University Choir. The Choral Union, which now numbers 150 singers, has performed major works by Bach, Verdi, Mendelssohn, Brahms, Britten and other composers. Twice a year, in May and at the Christmas Vespers service, the Choral Union performs with the University Choir. Stephanie Rosenthal agrees. “Doc is still as demanding as always,” she says, “even more so. But we can’t complain when we get the sound we’ve been able to get. It’s just incredible that he’s able to pull out such quality music. In 2003, 70 Glee Club alumni returned to Lehigh to put on a concert at a surprise 90th birthday party for Cutler. The event may have been a catalyst: Within four years, the tradition of men’s and women’s choral singing had returned to Lehigh. The Glee Club, directed by Sametz, was reestablished in 2005. Dolce was founded by Deborah Field in 2007 and has been directed since 2012 by Sun Min Lee, the Robert Cutler Professor of Practice and associate director of Lehigh Choral Arts. The Glee Club and Dolce perform independently and at University Choir concerts. Their members are drawn mostly from the Choir. Students practice once a week and earn one academic credit—just as in the Choir. Lee came to Lehigh from Westminster Choir College, one of the nation’s premier music conservatories, where she was a professor of choral conducting. Dolce’s growth, from eight singers in 2007 to 28 today, enables the ensemble to sing in as many as eight parts and to perform repertoire ranging from Renaissance to Broadway to chant to folk music. In 2016, Dolce joined with the women of the Choral Union to give the world premiere of “I Rise: Women in Song,” a work composed by Reena Esmail and commissioned by Lee. Dolce has performed full-length concerts at Bethlehem’s Kirkland Village retirement community and elsewhere. Each year, with the Center for Gender Equity, it hosts “Raise Your Voice,” a gala concert by Lehigh University women. “Musically speaking,” says Lee, “Dolce’s improvement has been remarkable. Lehigh students are amazing. They will take on any challenge. As he prepares for his fifth decade at Lehigh, Sametz says his impressions of its student musicians haven’t changed. “Lehigh students are very smart, and they don’t know what they are capable of musically,” he says. “When you don’t know your capabilities, it’s easy not to have a sense of your limitations. His singers, says Sametz, might struggle with the challenges he gives them but invariably rise to the occasion. Choral Arts to perform works of three living composers in weekend concerts. Steven Sametz’s chamber choir headlines a global festival. Steven Sametz’s ‘A Child’s Requiem’ honors the children and adults killed during the shooting at Sandy Hook Elementary School in 2012.